Please scroll down for the full list of spiritual poems. Spiritual poems are the expressions of souls who are striving on the upward path, encountering the hurdles that we all face and looking within to find answers. I have chosen this selection of poems as a means for you to explore your own feelings towards similar challenges in your life, and to strengthen your resolve to climb higher. For some people, poetry is too abstract to grasp and reading it ends up being a frustrating process. I've experienced this too and I hope that if this is the case for you, you'll be able to find the answers you're looking for in the more standard pages of Spiritual Encyclopedia. For others, spiritual poetry can be an enlightening way to understand spiritual teachings more fully and to start thinking 'outside the box'. If you are one of these people, then this section is definitely for you. Please note that the copyright of each poem remains the property of its author, Orion Beaufort. All poems are used here with kind permission - please contact me if you are interested in reproducing them yourself. New poems are added at the top of the list. The poet reminds his beloved of her oneness with God. A metaphor for the light of God that lives in each of us and our potential to be true Sons and Daughters of God. A knight's struggle to climb the rocky cliff and win his victory for God. Highlighting painful differences, appealing to someone to be more of their higher self. Wise advice on holding fast to your path and your values, as told to a young man. Being deterred by the world, trying to re-discover the path back to God. Navigating the stormy seas of life to reach the highest victory. Rising out of the fires of night to enter peace in God. Discovering the beautiful divine feminine and finding peace in the arms of the Mother. Love for the soul mate inspiring love for the Divine. 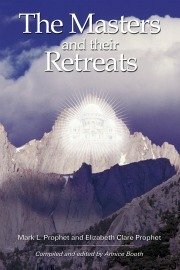 Would you like ongoing encouragement and guidance on your spiritual path? Subscribe to A Spoonful of Spiritual Quotes from Spiritual Encyclopedia, delivered FREE to your email inbox every week. I promise to use it only to send you A Spoonful of Spiritual Quotes.